Isaak lost another tooth. Now he has a top and bottom tooth that are out in the same spot. It just looks so funny, and cute seeing his big gap. He was super excited last week because he was one of the only kids in his swimming lessons to touch the bottom of the deep end. His coach said to me, "Isaak's ready to move up." I said, "I think we're just going to keep him here because he's happy, and is still pretty young. The other lesson up was just too much for this little guy." We're going to take a swimming lesson break for a bit. Isaak's starting jiu-jitsu next month. We'll go back to swimming, just not right now. 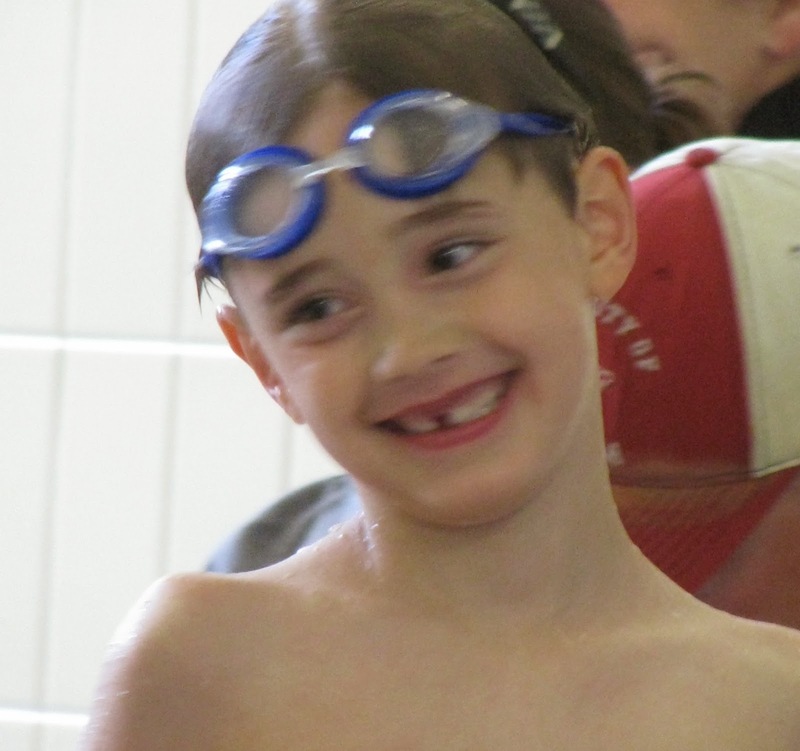 Here's my blurry little swimmer with a big gap smile on his face. Looks like the tooth fairy might be visiting someone!! Do you think he will have to have orthodontics? I sure hope not. That will put you in the poor house quickly, even with insurance. My kids both needed braces. He is cute as can be! He looks adorable with his missing teeth. I have two kids who are losing teeth now. Have a great day! Have fun starting your new martial arts lessons Issak! Awe! 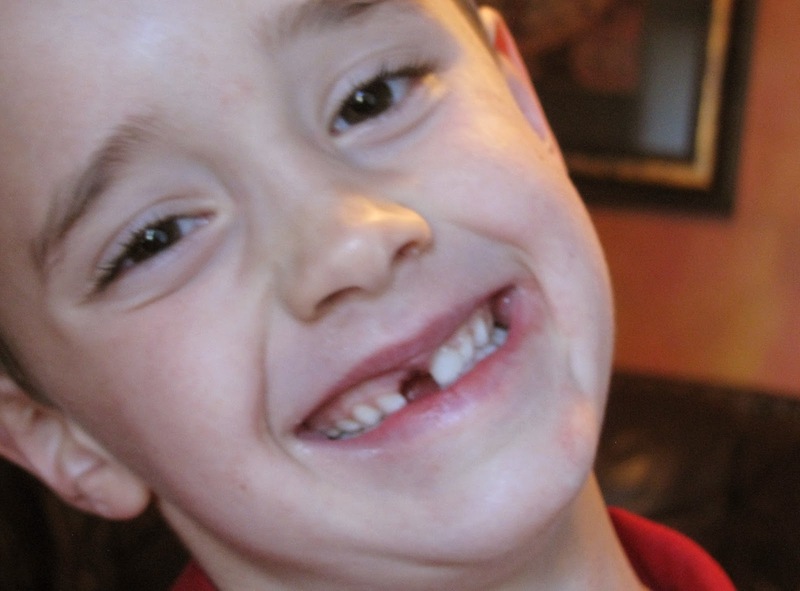 I miss those missing tooth days! He is so cute! Congrats, Isaak! Our little guys are definitely in sync with losing their teeth. How cute!! That is great he can touch the bottom of the deep end of the pool. I still have problems with that.